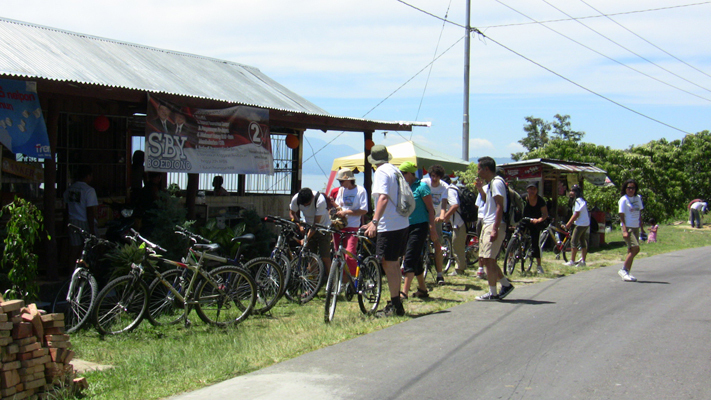 It took us 6 months to arrange and to promote the tour, and with only a handful of bike lovers attended, it was well worth the hard work we put into it. 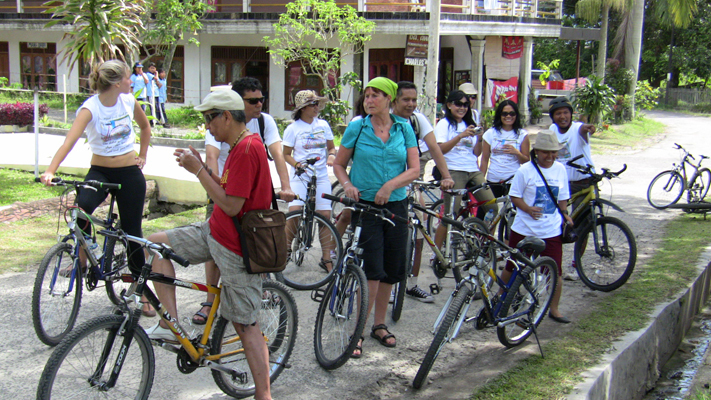 We are truly grateful to the development of Social media technology, organising a small event like this one is getting easier. 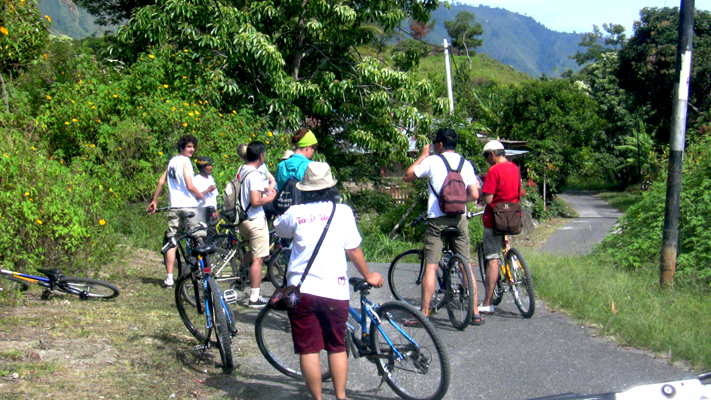 The event was organised to promote green tourism in North Sumatra, particularly around the Lake Toba area, and at the same time to raise fund for an educational project, call “project tryout” by ITB (Institute Technology Bandung) students who are originating from the area, headed by Raja Simarmata. 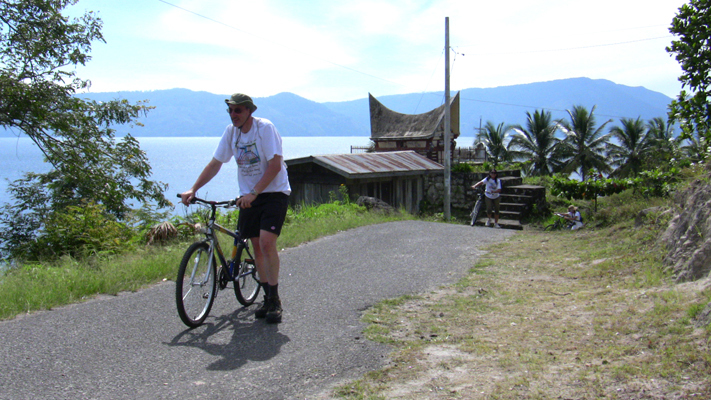 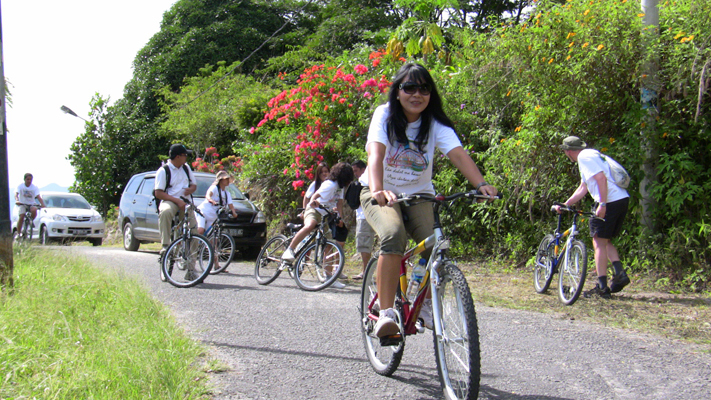 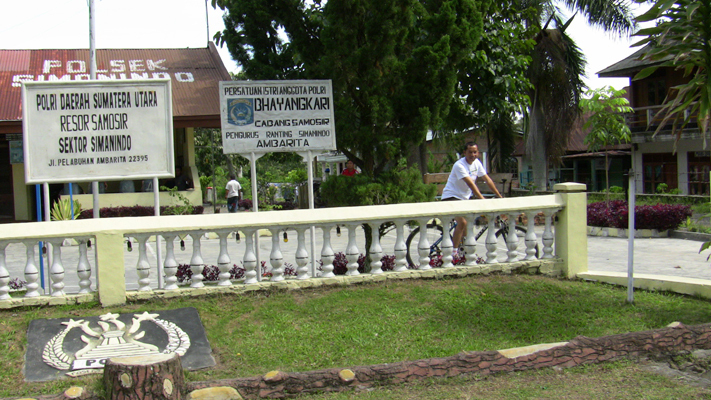 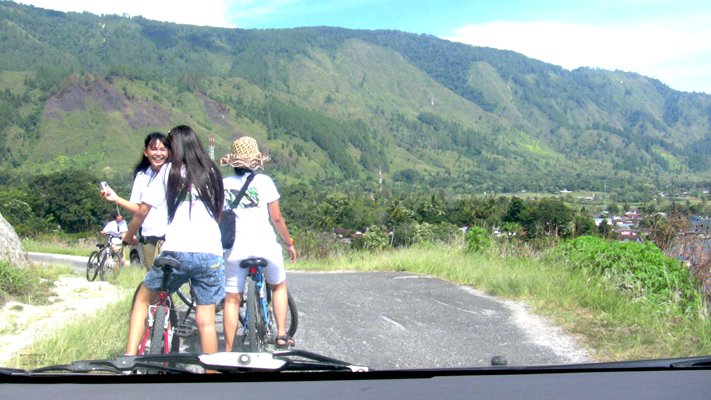 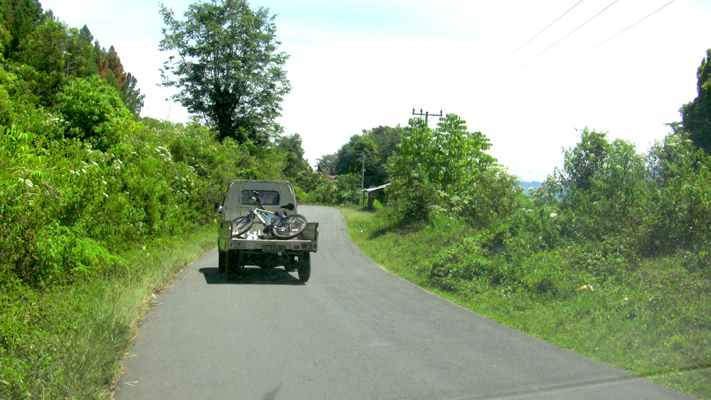 Samosir Island in Lake Toba, North Sumatra is really a perfect spot for a fun bike ride like this one. 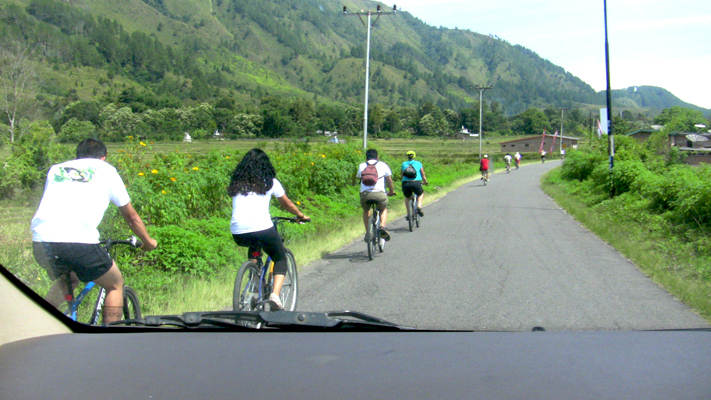 Road traffic here is very quiet and the surrounding area is truly beautiful, all the way from the start to finish of the tour. 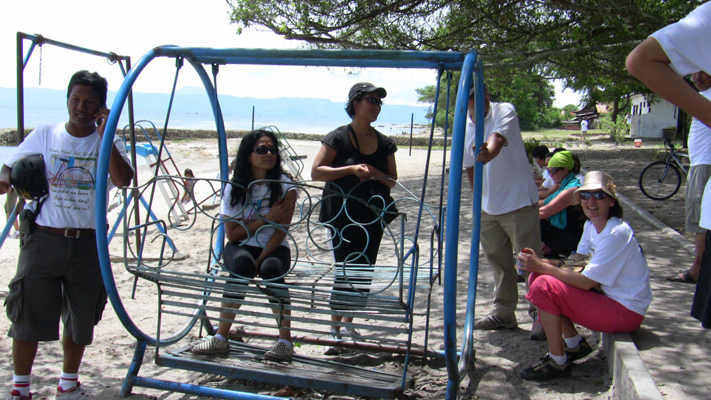 We started the tour from Tuktuk and ended at Parbaba Beach, a perfect spot to enjoy our lunch break. 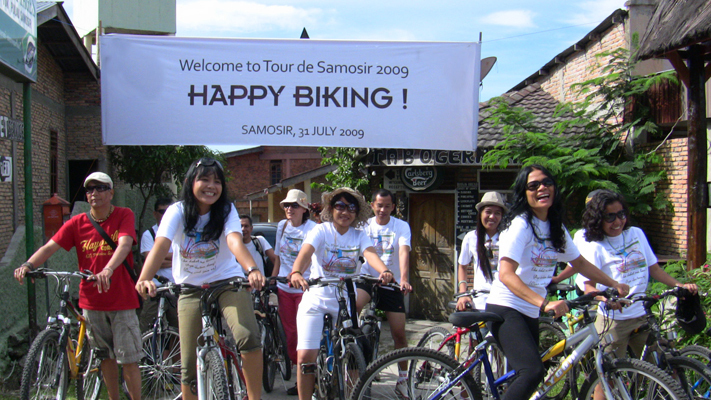 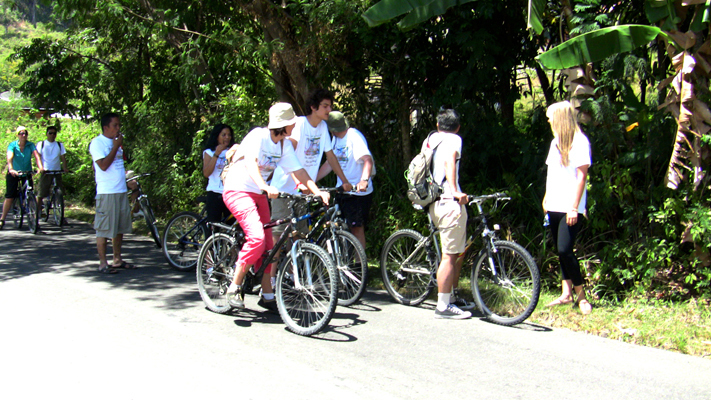 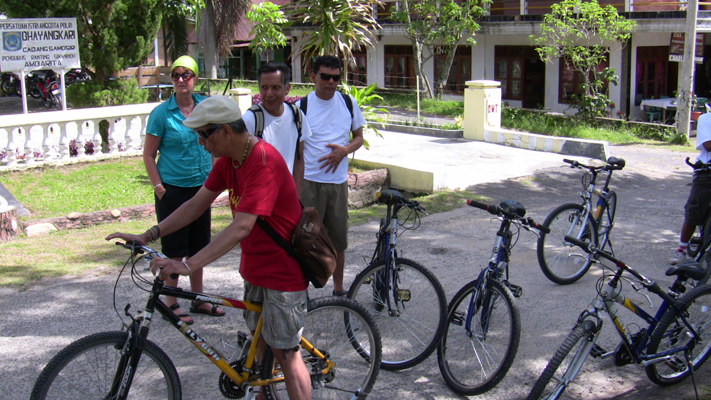 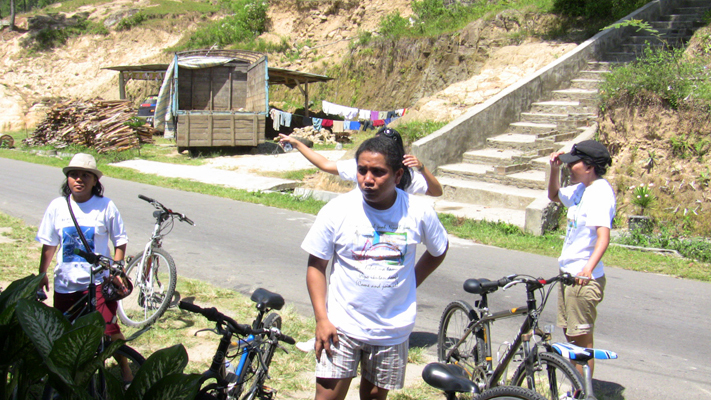 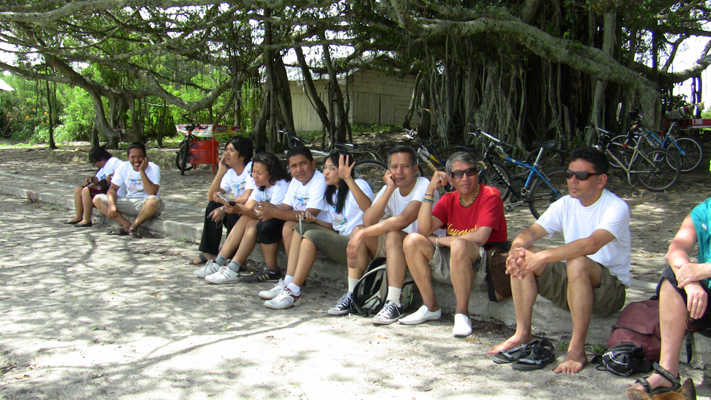 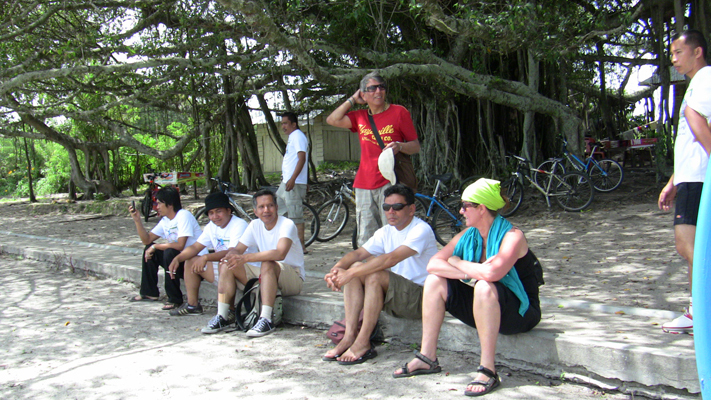 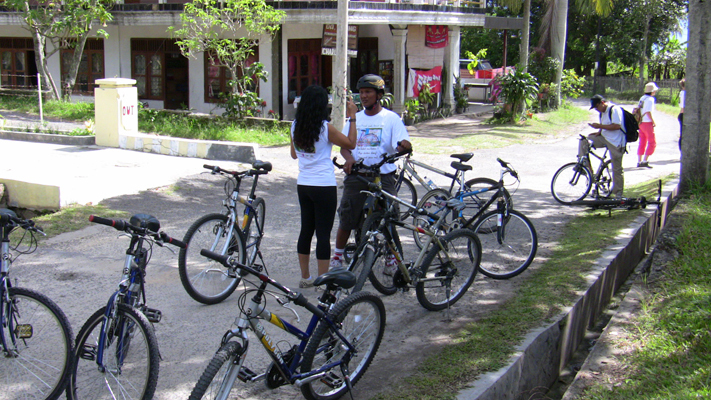 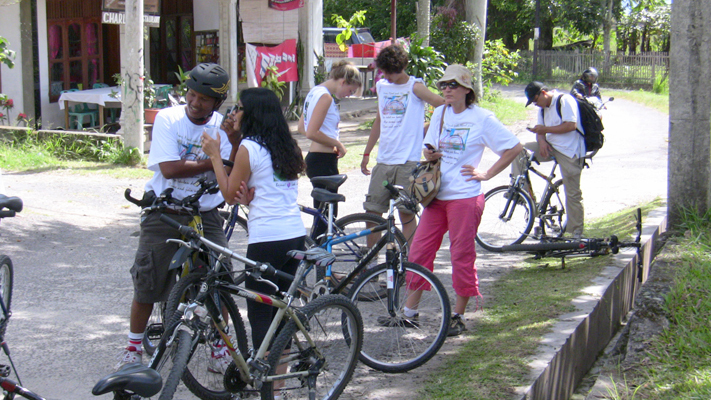 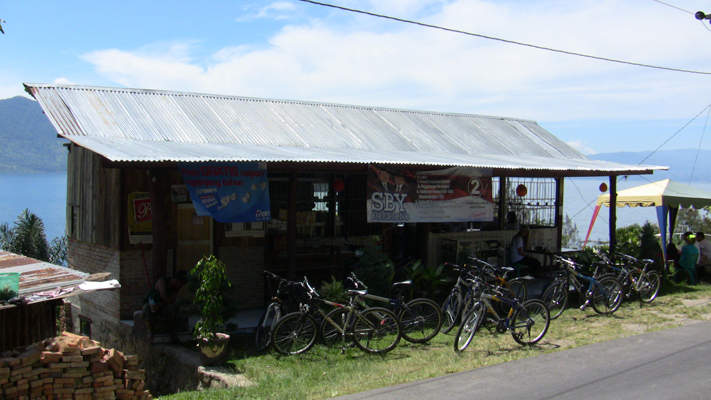 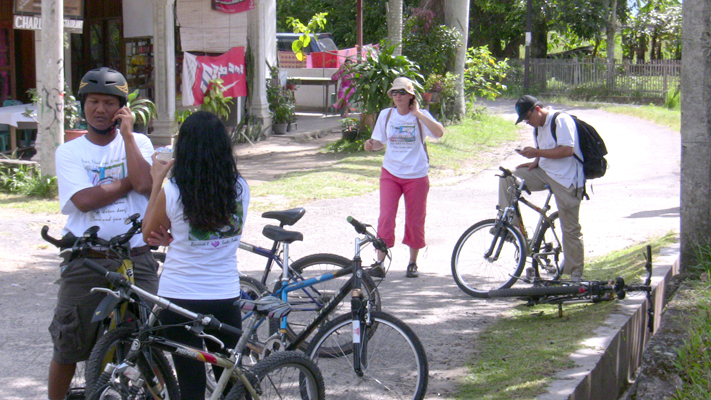 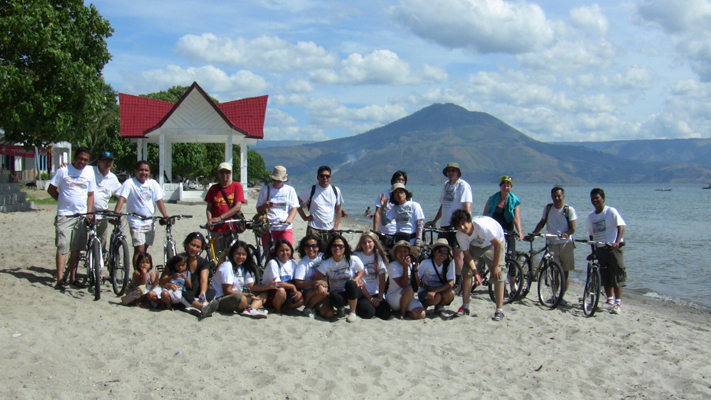 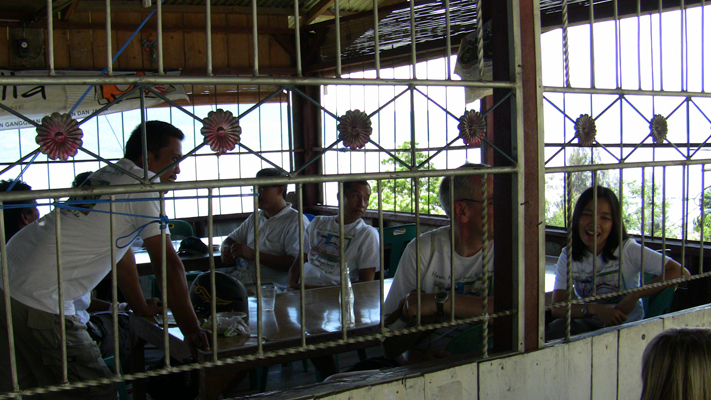 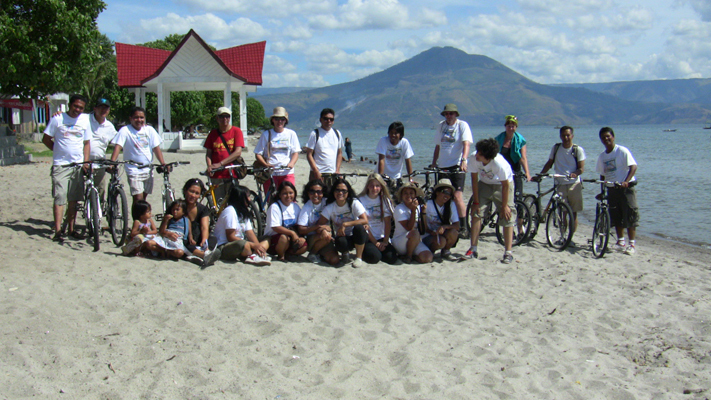 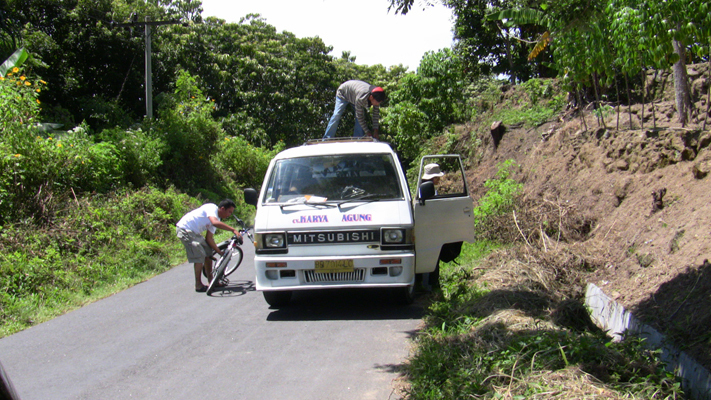 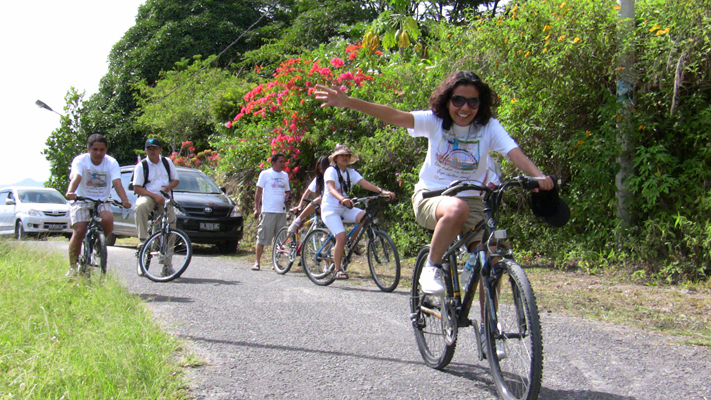 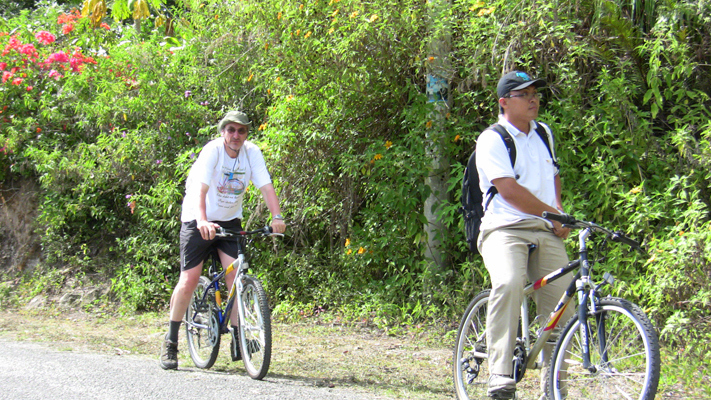 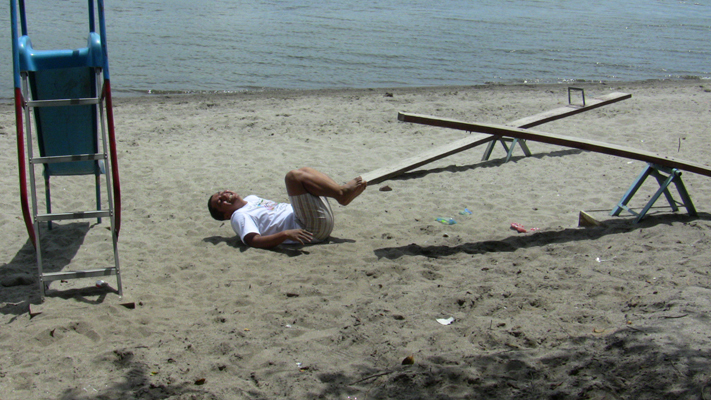 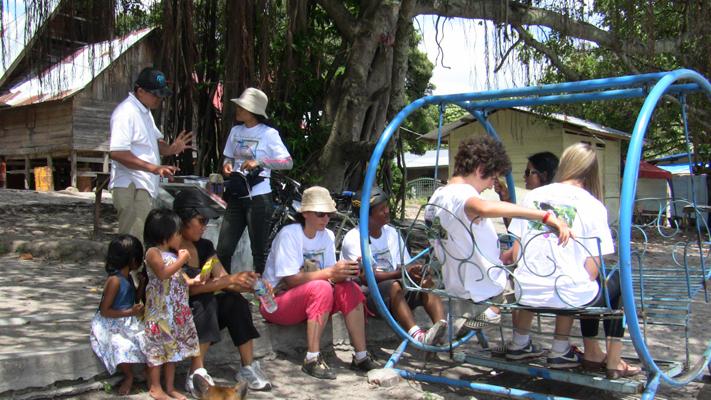 We were amazed that many of the people attended were not really regular cyclists, but we all made the effort to complete the challenge and made it to Parbaba Beach in Simanindo in time for lunch, and back to Tuktuk (the tourist centre of Samosir Island) – 60 km in total. 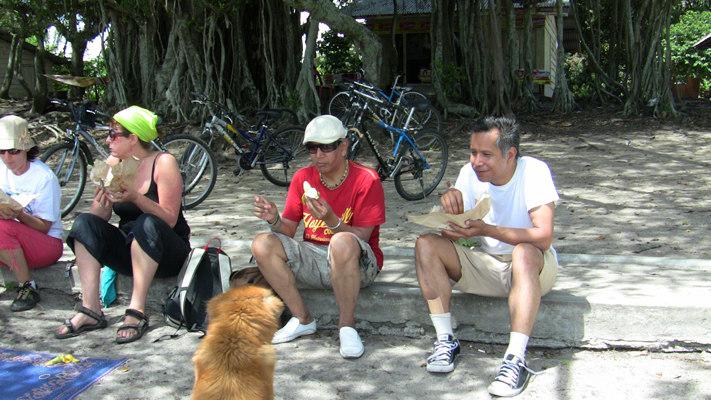 The group lunch was extra special, as our hunger was truly the best sauce. 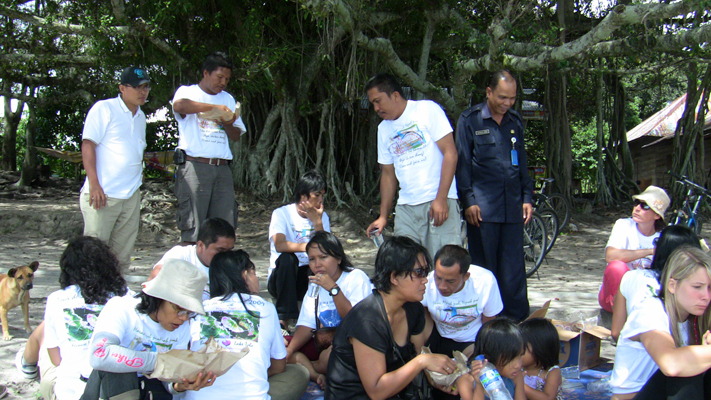 In the evening we had a small dinner party entertained by Marsada Band, a traditional band from Samosir island. 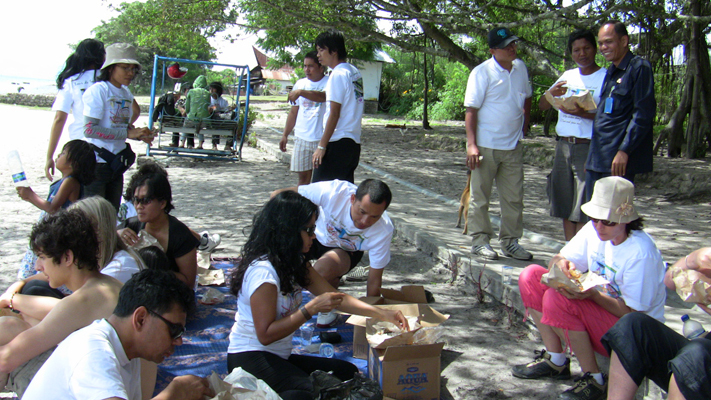 The dinner was attended by the head of the Region (Bapak Bupati), Mangindar Simbolon and his team. 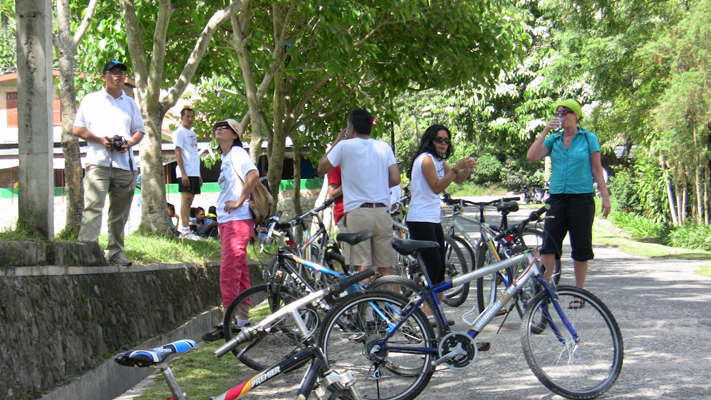 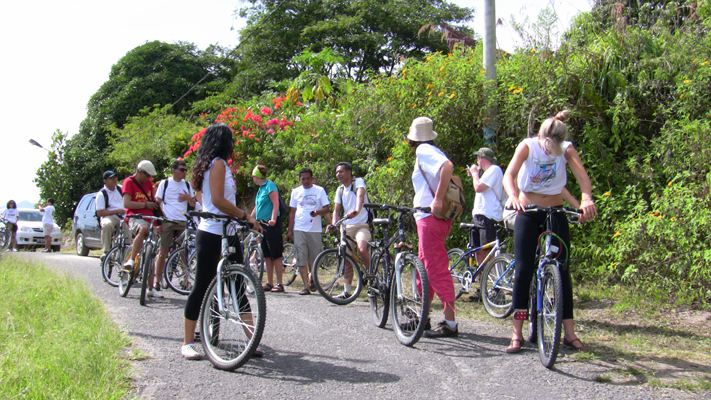 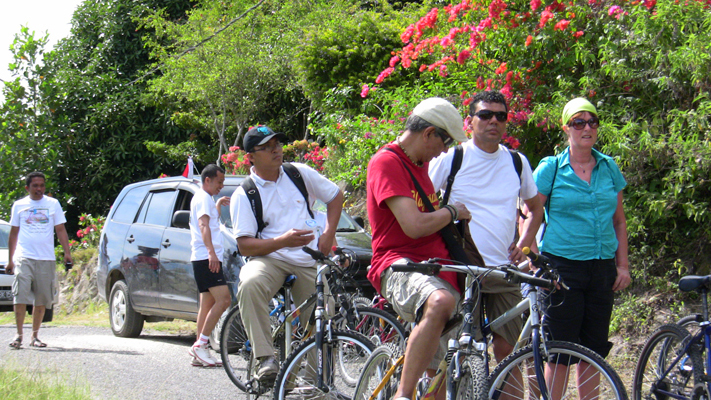 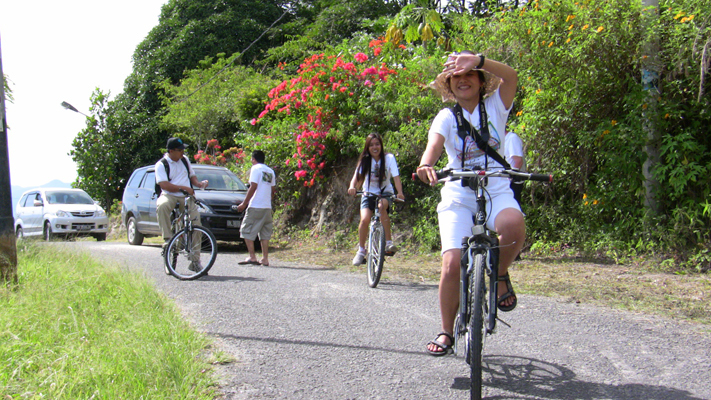 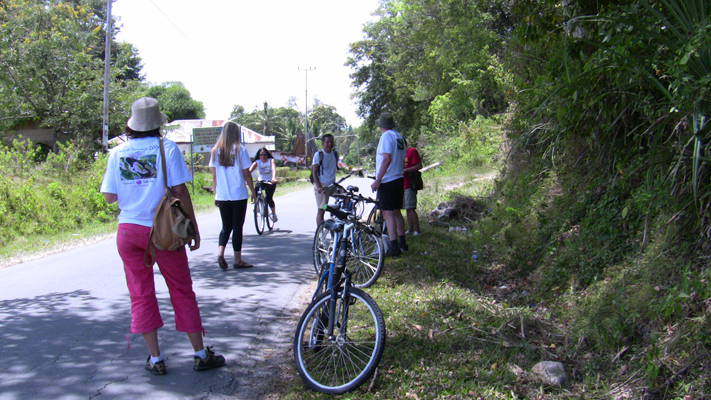 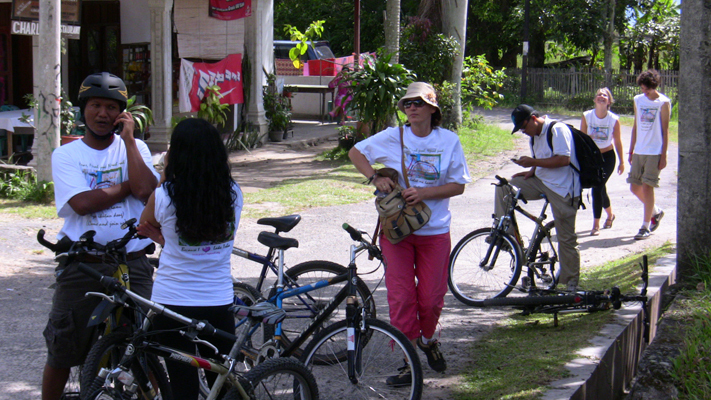 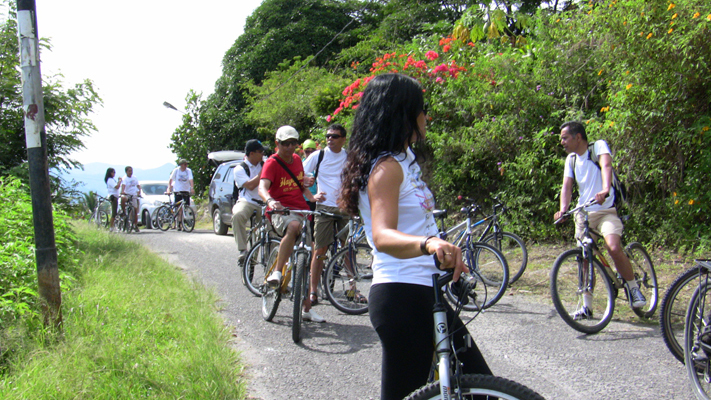 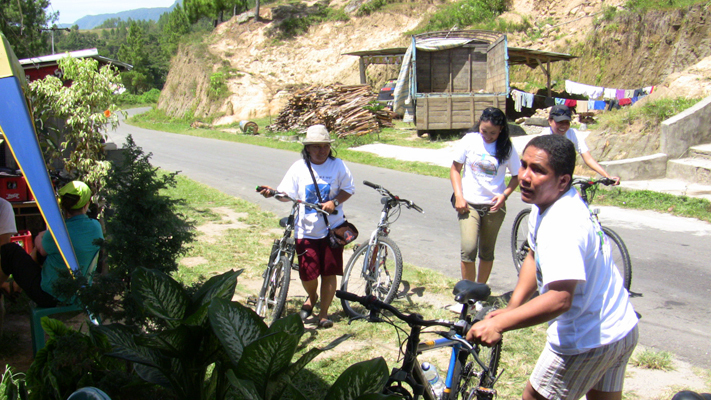 Although the bike ride we arranged was a small event, we believe that we have achieved our goal, to raise awareness of the importance of green tourism and the importance of bicycle as a great way to get around in places where money is scarce. 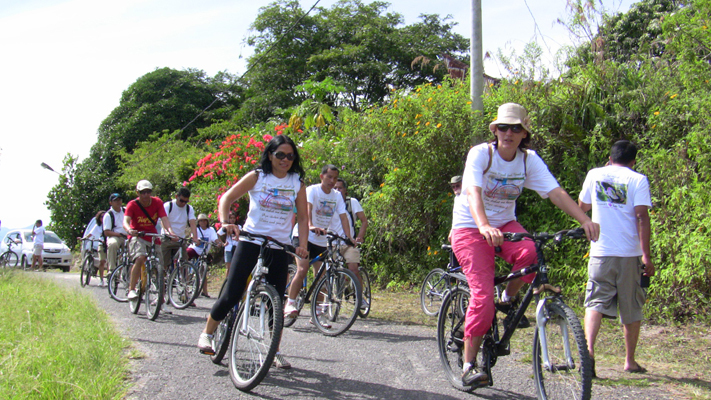 We are confident that we have inspired many people to take up cycling for fun and to organise other similar events in the region. 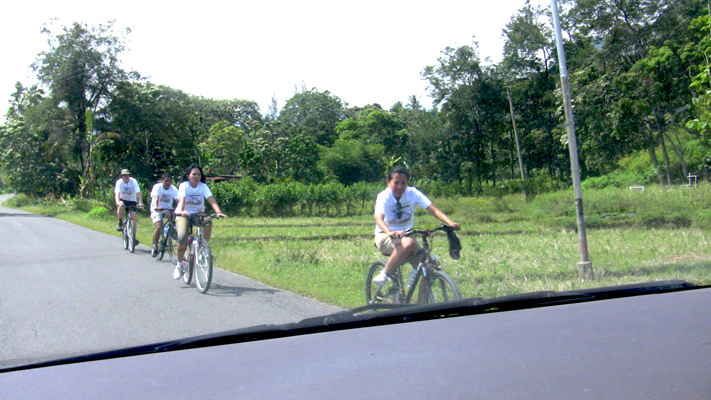 We hope to arrange another cycling event somewhere in the country in the near future. 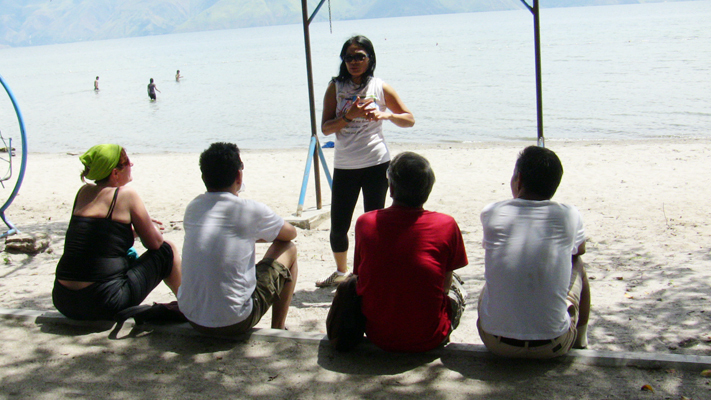 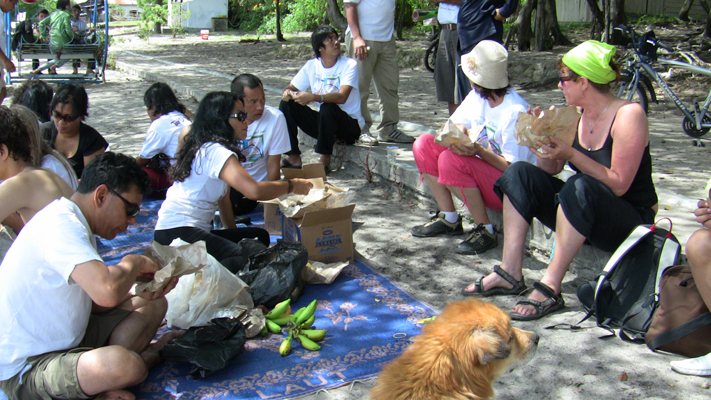 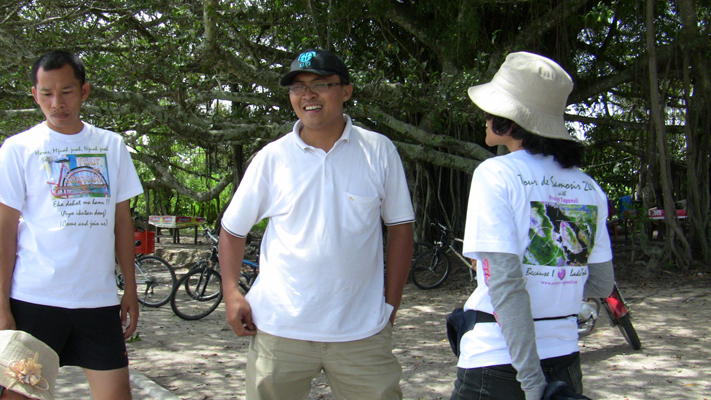 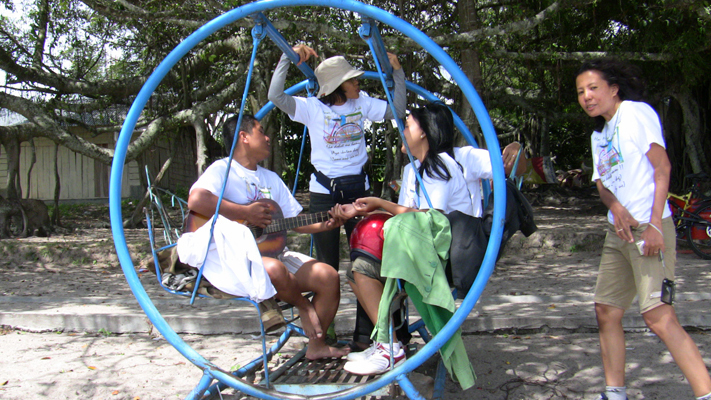 We are truly grateful to our volunteers, Tara Pakpahan and Saut Sihombing, who helped make this tour possible. 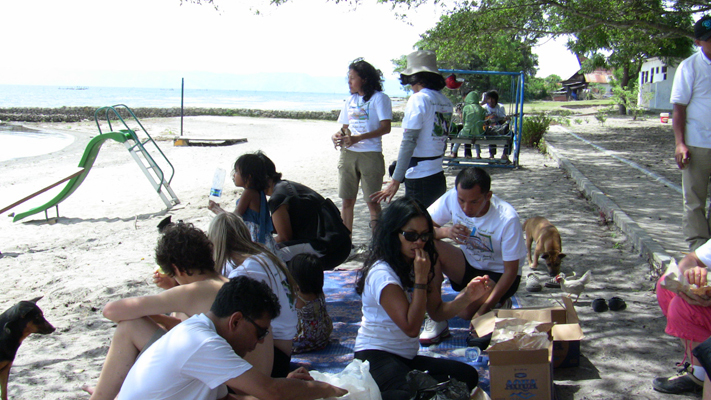 The worked tirelessly from week one till the event was completed. 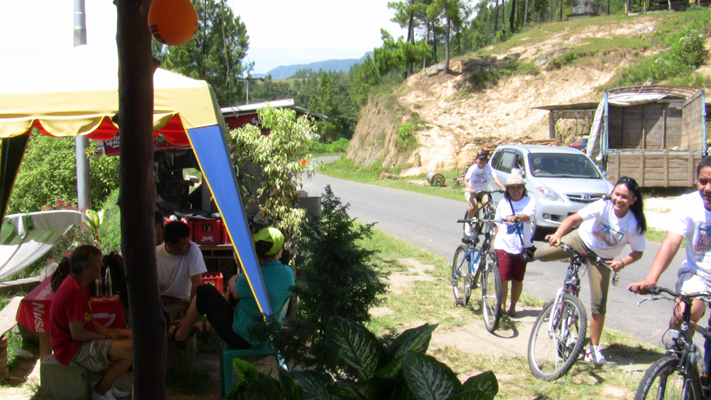 Our sincere gratitude to Mrs Annette Horschman of Tabo Cottage, Tutuk, who helped us make the event a real smooth dining and party. 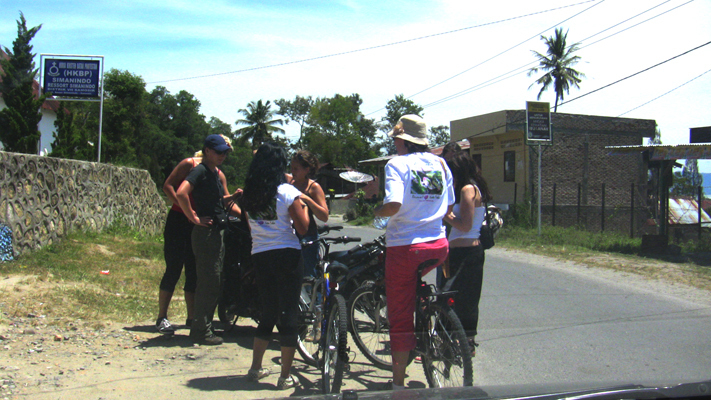 God bless you all.